According to the report thieves are most active in Eastern England with Cambridgeshire, Lincolnshire, Essex and Kent baring the highest cost of rural crime. 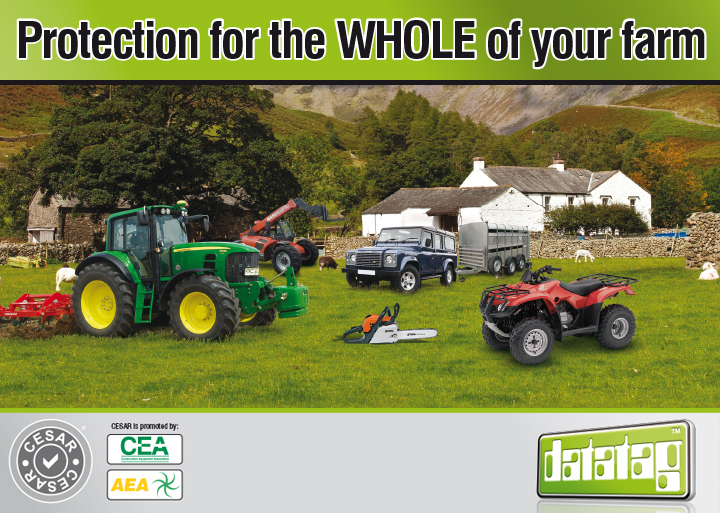 Datatag, the leader in security marking technology and the power behind the official equipment security scheme CESAR, working in conjunction with the NFU, can help to protect all of the above with security systems designed for each item. Datatag security systems act as a powerful deterrent against theft and give each item a unique and permanent identity, which thieves cannot remove, using an array of ‘state of the art’ security marking technology. 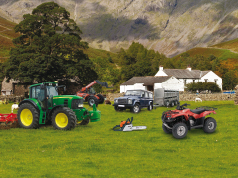 NFU members benefit from discounted prices up to you 25% on all the security systems for the items above and insurance premium discounts are available from the NFU mutual on certain items protected by CESAR including tractors, telescopic handlers and combine harvesters. The Datatag security systems are easy to fit and registration on-line takes just a matter of minutes. With Datatag there are no annual fees or subscriptions. Items are protected for life with a single payment which brings the value of peace of mind too!